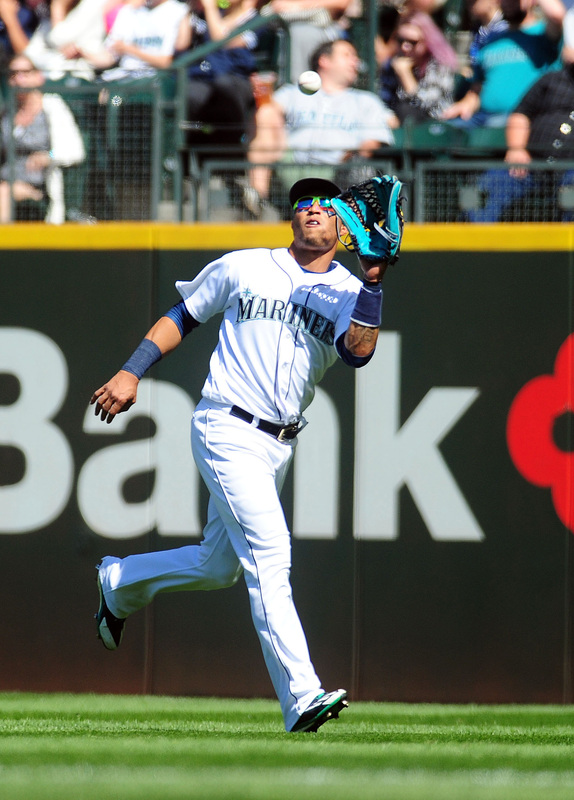 The Cubs announced to reporters just before tonight’s deadline for postseason roster eligibility that they’ve acquired outfielder Leonys Martin and cash from the Mariners in exchange for a player to be named later or cash (Twitter link via Gordon Wittenmyer of the Chicago Sun-Times). The addition of Martin will give the Cubs a fleet-footed reserve outfielder to serve as a pinch-runner and/or late-inning defensive upgrade, at the very least, over the season’s final month. While such players aren’t rostered throughout the bulk of the regular season, the month of September is its own animal; rosters expand to 40 beginning Sept. 1, allowing teams the luxury of having this type of highly specialized player on board. Of course, Martin isn’t that far removed from being regarded in considerably better fashion. He logged a .247/.306/.378 batting line with 15 homers and 24 steals as Seattle’s primary center fielder in 2016. While that line checks in below the league average, Martin’s glove and baserunning prowess still allowed him to check in at 2.2 wins above replacement, per Fangraphs. And from 2013-14, Martin contributed more than six total WAR thanks largely to his speed and defense. While those heights appear likely to be squarely in the past for Martin, he’s posted a strong .307/.348/.494 batting line with 11 homers and 25 steals in 87 Triple-A contests this season. He’s earning $4.85MM this year after avoiding arbitration last offseason, but the inclusion of cash from the Mariners surely indicates that they’re picking up the majority of the tab on that salary. Martin seems a likely candidate to join the Cubs’ big league roster in the very near future, where he’ll look to improve on the dismal .174/.221/.287 slash he’s posted through 122 plate appearances in the Majors this year. 10:58pm: As covered in detail here, the sides managed to pull off a last-minute blockbuster. 10:55pm: The Astros were apparently unable to swing a last-minute deal to land Tigers ace Justin Verlander, though the reasons why remain unclear. Detroit News journalist Chris McCosky said a deal was mostly in place with the Astros, then said that Verlander had nixed the proposed arrangement, and finally concluded it wasn’t clear if Houston had backed out (links to Twitter). Meanwhile, Bob Nightengale of USA Today tweets that it’s not yet clear what happened, but that the “Tigers are not blaming” the veteran right-handed hurler. For Houston, this evidently represents the latest thwarted effort to add an impact arm. The club was reportedly close to landing Zach Britton and perhaps another pitcher at the non-revocable waiver deadline, but both deals fell through. Now, it seems, the team has missed on Verlander, who previously cleared revocable waivers but still maintained his full no-trade protection. Talks between the teams were long been held up by an evident failure to agree on a return, but evidently gathered steam late today. As of midnight EST tonight, clubs can no longer add players from outside the organization and then utilize such players on their postseason roster. The ’Stros are rich in prospects, but had remained hesitant to part with their best young talent while also taking on a significant piece of the $56MM still guaranteed to Verlander over the next two seasons. Meanwhile, the Tigers were said to be holding out for real talent in parting with one of their franchise’s best all-time players. The Rangers have struck a deal to add righty Miguel Gonzalez from the White Sox, as Eduardo Encina of the Baltimore Sun first reported (Twitter link). Per the report, the Orioles were also attempting to bring back the veteran starter, but weren’t willing to meet the asking price. Infielder Ti’Quan Forbes will go to Chicago in return. The Rangers have designated righty Anthony Bass to open a roster spot. Though Texas isn’t exactly in prime position to snag a Wild Card berth — the team entered play today three games out and dropped its contest — it seems the club is at least interested in keeping that possibility open. Gonzalez will help bolster a rotation that no longer features Yu Darvish and has seen numerous other pitchers struggle. If they can crack the postseason, the Rangers will be able to utilize Gonzalez on their roster. The White Sox have been quite aggressive in moving veterans, and Gonzalez now becomes the latest to go. The 33-year-old has been a steady presence since coming to Chicago after a four-year run in Baltimore. He’s earning $5.9MM this year — about $1MM of which remains to be paid — and will be a free agent at season’s end. On the season, Gonzalez owns a 4.30 ERA with 5.6 K/9 and 3.2 BB/9 to go with a 38.1% groundball rate over 127 2/3 innings. He has been quite good since returning from a mid-summer DL stint, spinning 49 frames of 2.94 ERA ball — albeit still with just 35 strikeouts against 19 walks. Despite the underwhelming peripherals, Gonzalez has typically managed to limit hard contact and suppress batting average on balls in play; opposing hitters carry a .278 BABIP against him over his six-year career. He doesn’t work with much velocity, but mixes five pitches and has managed to post a lifetime 3.88 ERA over 843 MLB frames. Forbes only just turned 21 and was a second-round pick in 2014. But he has not really shown much yet as a professional. While playing mostly at third base this season, which he has split between the Class A and High-A levels, Forbes carries a meager .234/.281/.344 batting line with 11 home runs through 517 plate appearances. The 29-year-old Bass has seen action in six MLB campaigns, but was bombed in two appearances this year with Texas. He has pitched to a 4.17 ERA in 84 1/3 Triple-A innings, though, with 10.2 K/9 against 3.2 BB/9. We’ll see a number of promotions beginning tomorrow, as active rosters will expand to include any and all players on the 40-man. The Orioles have some particularly notable players slated to come up, per David Hall of the Virginian-Pilot (Twitter links): Baltimore will call up top catching prospect Chance Sisco along with veteran slugger Pedro Alvarez. 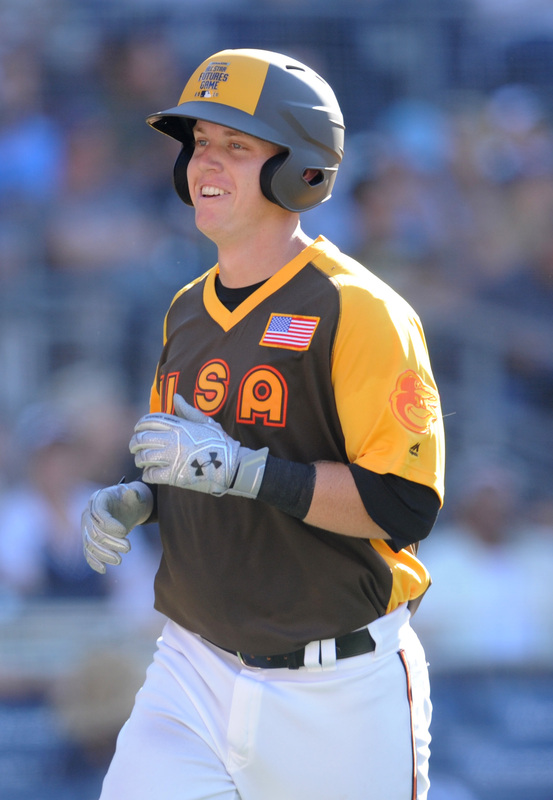 Sisco, 22, was seen as a consensus top-100 prospect league-wide entering the season. He hasn’t hit a ton this year at Triple-A, his first full season at that level, but does own a solid .267/.340/.395 batting line with seven home runs through 388 plate appearances. Despite that modest slash line, Baseball America still rated him as the game’s No. 29 overall prospect on their midseason top 100. Jim Callis and Jonathan Mayo of MLB.com ranked Sisco as baseball’s No. 50 prospect on their own summer top 100, while Fangraphs’ Eric Longenhagen pegs him 83rd. For the time being, Sisco will likely see only limited duty behind Welington Castillo and Caleb Joseph. But with Castillo facing an opt-out decision after the season — one which he seems fairly likely to take in the affirmative — the O’s could end up relying on Sisco quite a bit next year. As for Alvarez, he’ll function as a bench bat against right-handed pitching for the O’s. He has swatted 26 homers in his 590 plate appearances at Norfolk on the season, though he does carry only a .293 on-base percentage. Baltimore is also bringing up outfielder Joey Rickard and righty Jimmy Yacabonis for September, according to Hall. 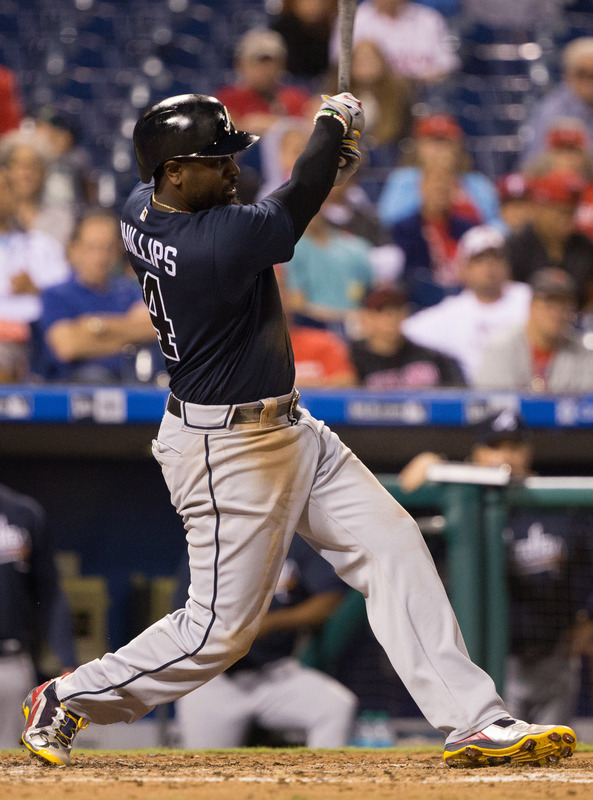 For now, at least, the team doesn’t plan to promote veteran third baseman Chris Johnson. He has slashed .307/.336/.517 over 253 trips to the plate, but would (like Alvarez) require the opening of a 40-man roster spot. MLBTR Poll: Will Justin Upton Opt Out? Angels outfielder Justin Upton — if that sounds odd, you might want to click this link — faces an interesting decision after the end of the season. He already has the right to $88.5MM in guaranteed salary for the next four seasons, but can choose instead to opt out of the contract and take his talents onto the open market once again. Entering the season, the latter course seemed less than likely. After all, Upton managed only a .246/.310/.465 batting line in 2016, his worst-ever full-season batting line. Though he did swat 31 home runs, matching a personal best, Upton was at or near career-worst levels in strikeouts (28.6%) and walks (8.0%). As the second consecutive year in which his output with the bat had declined, there was cause for some concern. Needless to say, though, Upton has turned things around thus far in 2017. He’s currently slashing .279/.362/.542 and has already knocked 28 balls out of the yard through 520 trips to the plate. Though his strikeouts haven’t dipped, he’s now walking at an 11.0% clip that’s better than his career average, all while sporting a personal-high 44.1% hard-hit rate. And Upton has rated as a quality performer with the glove out in left field. That’s not where Upton’s case for opting out ends, however. While he is now in his 11th season in the majors — which seems hard to believe — the slugger only just turned 30 a few days ago. And since he has previously received a qualifying offer (and also now has been traded mid-season), he won’t be eligible to receive a QO — meaning there’s no risk of his market being dragged down by draft compensation. There are plenty of comps that suggest Upton could well out-earn what he already has in hand. On the high side, we have seen several somewhat older outfielders take down nine-figure guarantees: Yoenis Cespedes (four years, $110MM entering age-31 season), Shin-Soo Choo (seven years, $130MM entering age-31 season), and Josh Hamilton (five years, $125MM entering age-32 season) all come to mind. On the lower side, there’s plenty of reason to think that Upton can beat Dexter Fowler’s five-year, $82.5MM deal or the $88MM over four years that Hanley Ramirez received. Of course, Upton himself secured a $132.75MM guarantee before the 2016 season; though he was two years younger, he also was coming off of a less-impressive campaign. That said, there’s no denying that there’s risk in casting himself back into free agency. Upton may not find it worth his while if he and his agents do not anticipate offers that are all that much more significant. It’s somewhat difficult to forecast the market for power hitters given the recent surge in offense (and home runs, in particular). Last year, several big bats came in somewhat under expectations; this fall, there’ll be competition (especially former teammate J.D. Martinez, but also potentially including older players and possible trade targets). The Astros announced that they have designated right-hander Dayan Diaz for assignment in order to clear a spot on the 40-man roster for newly claimed outfielder Cameron Maybin, whose acquisition has now been announced by the team as well. The 28-year-old Diaz made his Major League debut with the Reds last season but was cut loose at season’s end, at which point he signed a minor league deal with the Astros. In a combined 19 2/3 MLB innings, Diaz has an unsightly 9.15 ERA. While he’s picked up an impressive 23 strikeouts in that short time and averaged 94 mph on his fastball, he’s also walked 11 batters and thrown four wild pitches. In 161 career innings at the Triple-A level, Diaz has a 2.96 earned run average with 8.2 K/9 against 3.5 BB/9. The trade represents a massive boon to an Angels lineup that is firmly in the mix for an American League Wild Card spot. 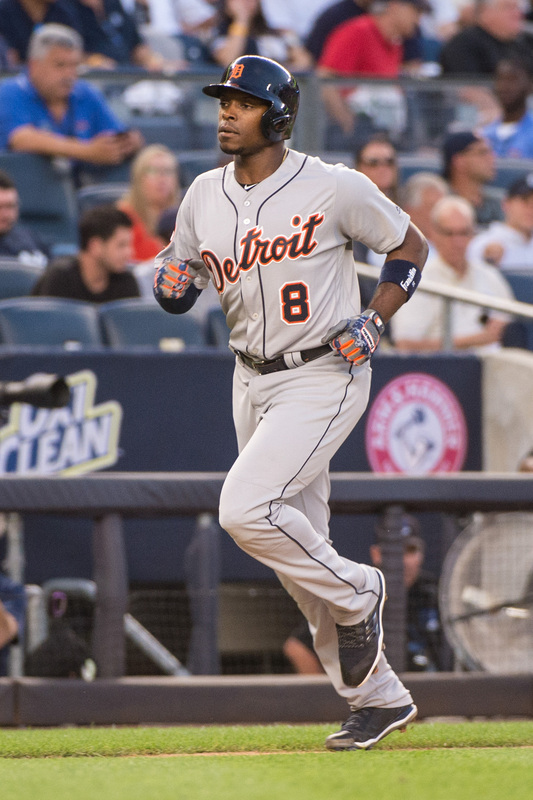 While Upton’s first couple of months as a Tiger made his six-year deal look like a regrettable misstep, he’s been nothing short of one of the best hitters on the planet for the past 14 months. Dating back to July 1 of last year, Upton has raked at a .273/.351/.551 pace with 51 homers in 831 plate appearances. That line includes an even more magnificent .282/.368/.578 slash over the past calendar year. Over his past 631 plate appearances, Upton has clubbed 41 home runs. Upton has performed so well, in fact, that his contractual opt-out clause following the 2017 season went from looking like like an easy call to remain in Detroit to a distinct possibility of being exercised. Upton has four years and $88.5MM remaining on his contract following the season, but he’d need only to match the money Boston guaranteed to Hanley Ramirez to eclipse that total. One direct comparable, Yoenis Cespedes, received a four-year, $110MM contract last winter in free agency when he was a year older than Upton will be this winter. MLB.com’s Jon Morosi reports (on Twitter) that Upton had decided that he was likely to opt out of his contract following the season due to the Tigers’ rebuild. When he informed the team of that plan, trade talks quickly picked up. As noted below, the Tigers would’ve stood to lose Upton for nothing (outside of tremendous salary relief, which they’ve achieved anyway), as he cannot receive a second qualifying offer under the new collective bargaining agreement. ESPN’s Buster Olney tweets that Upton gave the Angels no assurances one way or the other about whether he’ll opt out of the contract at season’s end. Angels left fielders, on the whole, have been among the least productive groups at their position in all of 2017. Anaheim left fielders are batting a woeful .244/.315/.341 thanks to underwhelming contributions from both Cameron Maybin, who has reportedly been traded to the Astros to facilitate the acquisition of Upton, and Ben Revere, who has been hot as of late but has posted generally underwhelming numbers since the onset of the 2016 season with the Nationals. Long, 23, was the Angels’ third-round pick in 2015 and rates as the No. 9 prospect in Anaheim’s thin farm system, per Jonathan Mayo and Jim Callis of MLB.com. He spent the beginning of the 2017 season pitching for Class-A Advanced but quickly progressed to Double-A, where he’s pitched quite well in 23 starts. In 133 2/3 innings combined between those two levels, Long has a 2.69 ERA with 8.4 K/9 and 2.8 BB/9. He’s more of a fly-ball pitcher, as evidenced by his 33.1 percent grounder rate in Double-A. Callis and Mayo suggest that the 6’5″, 230-pound Long has the ceiling of a “solid” big league starter. Fangraphs’ Eric Longenhagen tweets that Long has exceeded expectations in 2017 and projects as a possible back-of-the-rotation arm. Ken Rosenthal of The Athletic first reported the two sides were nearing a deal (via Twitter). Joel Sherman of the New York Post tweeted that the agreement was in place, while ESPN’s Jerry Crasnick reported that the agreement was still pending medical review (Twitter link). Crasnick also reported Long’s inclusion in the trade (Twitter link). Sherman tweeted that a PTBNL was also in the deal, while USA Today’s Bob Nightengale tweeted the financial details of the swap. Jon Heyman of Fan Rag tweeted the Tigers’ salary contribution.